The new Markets in Financial Instruments Directive II (MiFID II) imposed strict regulations on European countries with the purpose of keeping financial markets transparent and safe for investors. After its implementation in January 2018, companies that provide financial advice (including wealth managers and Independent Financial Advisors), will be obligated to record their telephone conversations and electronic communications for up to 5 years. But what does that all mean for your business? Today, we will explain the most important things that you need to know regarding MiFID II call recording. Companies that are new to call recording often subestimate the costs associated with compliance, especially considering that data will need to be stored securely for up to 5 years under MiFID II. According to CityWire, the average phone bill of many businesses might increase by more than £1,200 per year, and this is without upfront costs such as installation or on-premise equipment. For this reason, businesses will need a secure storage system prepared to hold huge amounts of data without excessive costs – which could be crippling for smaller and middle-sized companies. A copy of the recorded conversations or electronic communications will have to be stored for up to 5 years, or, if requested by a competent authority, up to 7 years. Companies will need to ensure the “quality, accuracy, and completeness” of all telephone and electronic communications records. Recordings should be periodically monitored to ensure that requirements for compliance are met at all times. Companies that need to meet the requirements for MiFID II call recording will have to find a solution that is cost-effective, easy to implement and use, has sufficient storage for huge amounts of data, and is reliable for data access at any time. Our disruptive solution Recordia uses cloud-based technologies to ensure that companies are recording office interactions securely while meeting the requirements of MiFID II quickly and efficiently. Because Recordia is an advanced cloud-based technology, our platform has an outstanding availability – out of 10,000 times when the system is accessed, it could be potentially unavailable only once. Our software uses sophisticated encryption algorithms to ensure the protection of original files, automatically identifying if data has been manipulated or altered by someone. Recordia is capable of storing enormous amounts of data for 5+ years, with an incredible data consistency – on our platform, 99.999999% of the interactions are recorded without any lost elements. Our call recording solution is designed around scalability. We are capable of adapting to small businesses, large corporations, and middle-sized companies with maximum efficiency and financial predictability. Recordia can be equipped with analytics and machine learning technology to provide your company with valuable insights that can help you make predictions and optimize your internal processes. With the advanced search functionalities of Recordia, you will be able to retrieve data through criteria such as date, time, keywords, and even specific people and interactions. Access your data from any place, at any time. As a cloud-based technology that does not require on-premise equipment or installation, and allows for scalability, Recordia becomes an extremely cost-efficient choice for the MiFID II call recording compliance of your company. Would you like to receive more information on how Recordia can help you become MiFID II compliant? 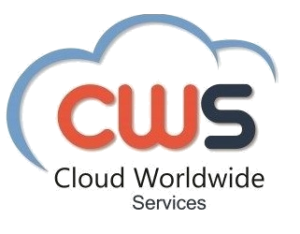 Let us know by contacting us at the official page of Cloud Worldwide Services!